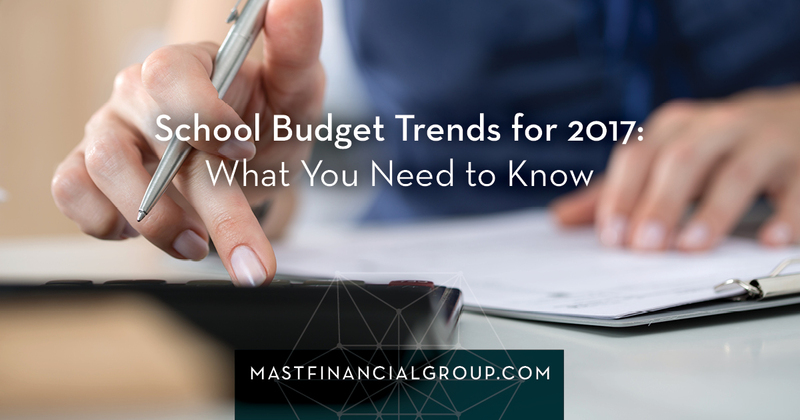 As we jump into budget planning season, we wanted to share with you some key pieces of information to keep in mind while you are building out your school’s budget. Here’s a look at the current charter school financial landscape for 2017. Per student fund allocations are almost back up to where there were in 2008. While we are anticipating and are pretty confident in the proposed $50 increase from last year’s allocation, we encourage you to be conservative and build your budgets not counting on the increase. The final allocation amount won’t be finalized and announced until June. The government is cutting federal grants by a minimum of 5%. What does this mean for your school? It depends on your demographics and where you are located. For a school that relies on federal grants to support specific programs, you will need to evaluate how the drop in funds will affect your ability to budget for them. Our answer is quite simple – right now, we know as much as you do. There will likely be changes to come, and we’ll be the first to let you know how they will or will not affect your school. Subscribe to our email list so you can be the first to know when there’s something new to share. Plus, you’ll receive exclusive information we only share via email. As always, we are here to help. If you need an expert’s eye to assist in your school budget planning, or simply would like a second opinion, please reach out to us. We’d love to hear from you.